Am not an engraver but am coming here for some help, I'm trying to attribute a name to who did the work on this pistol. 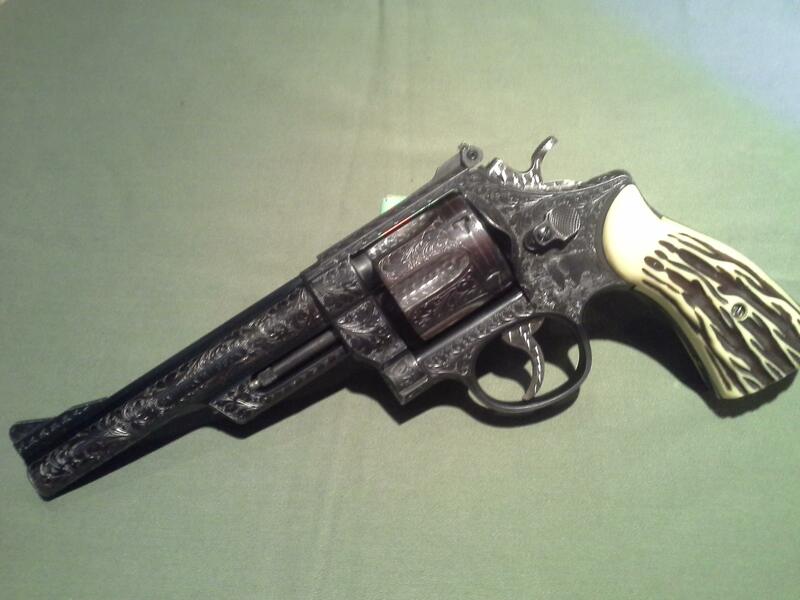 It left the S&W factory around 1955 to Oregon as a plain-Jane gun, I had it "lettered" by the factory. I bought it from a deceased relatives estate in Illinois sometime in 2003, somewhere in those years it was engraved as you see it. Another engraver forum suggested the work was done by a Clause Willig of Germany, I recently tried to contact Herr Willig via email but that link no longer works. He would be elderly by now, but was hoping if he could identify it as his work------or not. 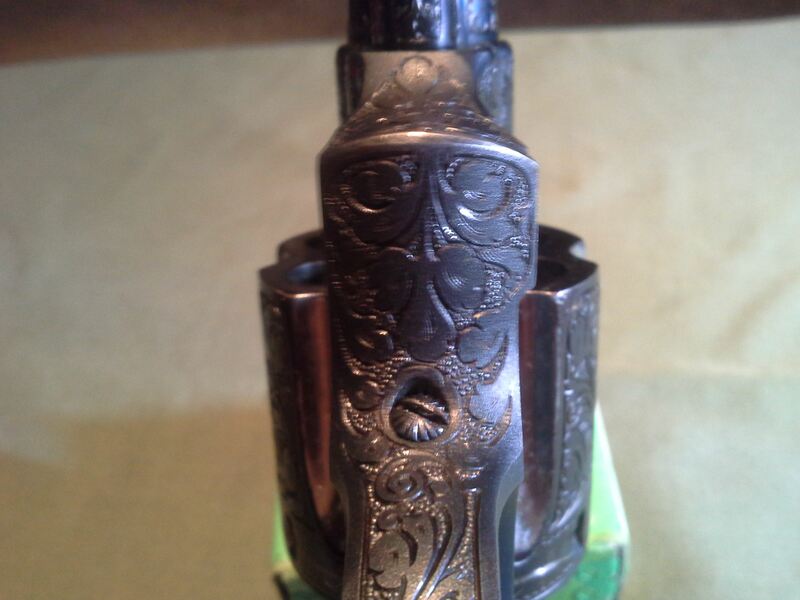 I have looked the engraving over with a magnifying lens, cannot find any initials, name , or marks anywhere. Was hoping that someone might have some reference to compare this work against, for a possible name. Thanks in advance. I would agree that the engraving looks like the work of a German or Austrian engraver. I also believe it was engraved using hammer and chisel because progression marks are visible in the close-ups. Other than that I would suggest that you send good photographs to the FEGA historian and author , C. Roger Bleile. He has a lot of knowledge regarding all things engraving as well as Germanic engraving and engravers. Last edited by John Barraclough; 12-12-2018 at 08:23 PM. 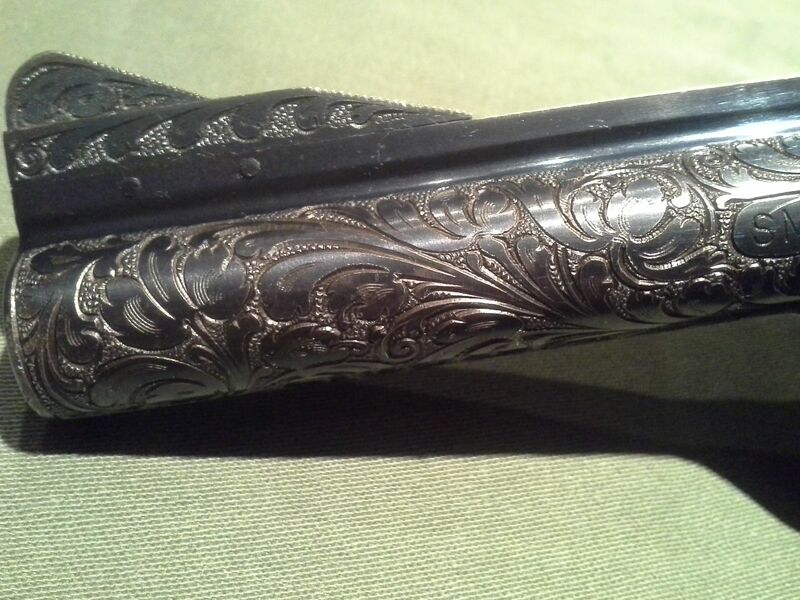 As Roger remarked about a different gun on the Cafe forum, your gun may have been engraved by a Japanese engraver. 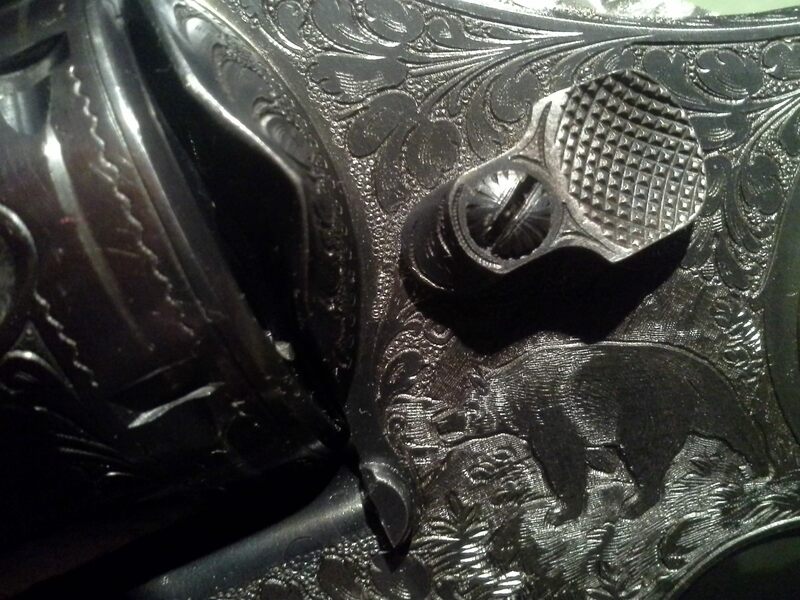 Many guns were engraved for G. I. 's stationed in Japan. And in the 70's and 80's some Japanese engravers worked in the U.S. and were quite prolific engravers. Some of these engravers were trained in Germany and used the Germanic styles. But one of their characteristics was a lack of shading on some leaves, which I think I also see on your gun.